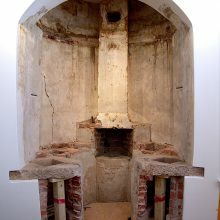 The University of Virginia chemical hearth was discovered during a recent renovation of the Rotunda, the original college building designed by Thomas Jefferson and styled after the Pantheon in Rome to serve as the heart of the University. 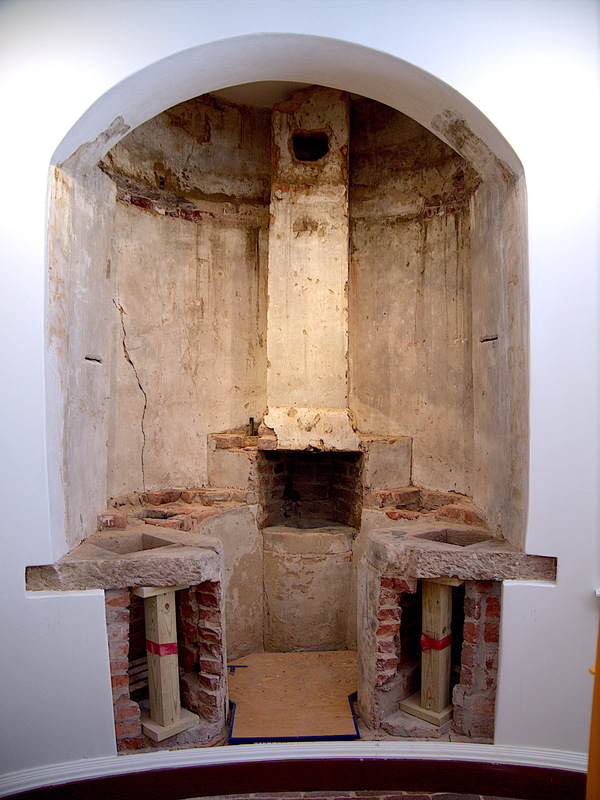 The chemical hearth operated in an early classroom, but was concealed in a lower-floor wall in the mid-1840s when the chemistry lab moved to the southwest wing. 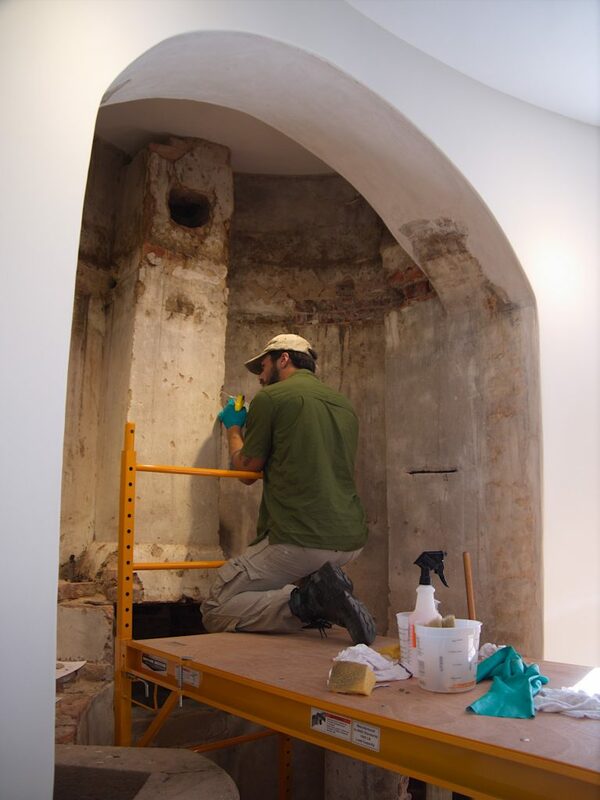 At the request of the University of Virginia, our conservators worked on the revealed hearth right after its discovery and twice during restoration project for the Rotunda. 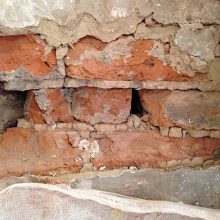 The goal of the first intervention was to stabilize and preserve the most vulnerable plaster surfaces and bricks prior to structural work on the building. 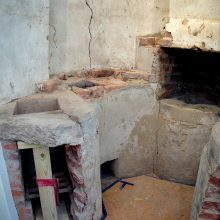 The goal of the second intervention was to further stabilize as well as conserve the hearth for display in the finished space. 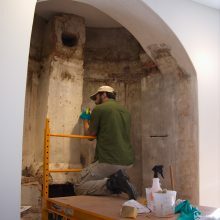 There was particular concern about damaging vibrations associated with the Rotunda renovation, specifically the underpinning of the foundation and removal of vaults from the 1890’s renovation. 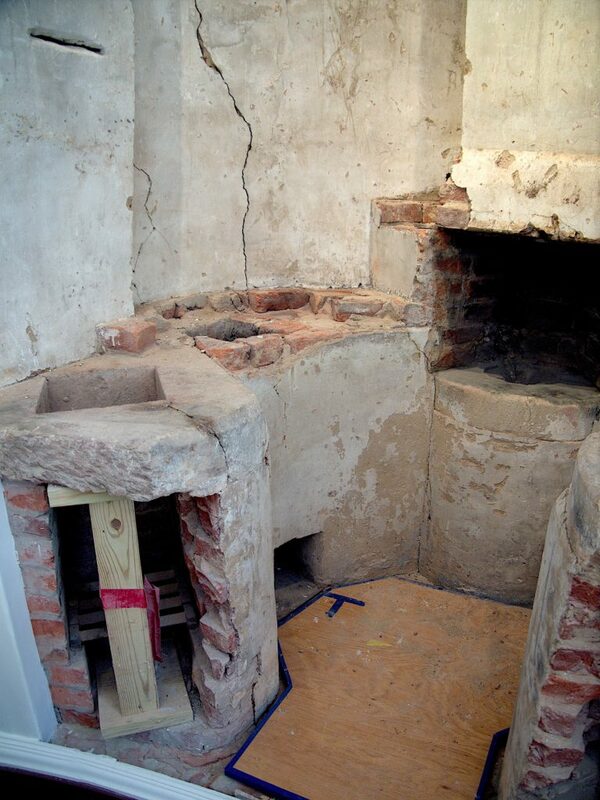 Conservators used dry methods to clean and prepare the hearth for stabilization. 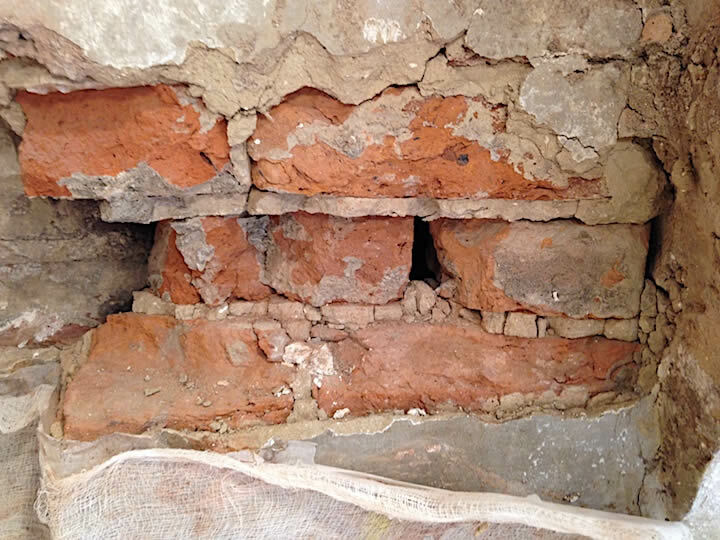 Protection was installed to hold the vulnerable materials during construction. 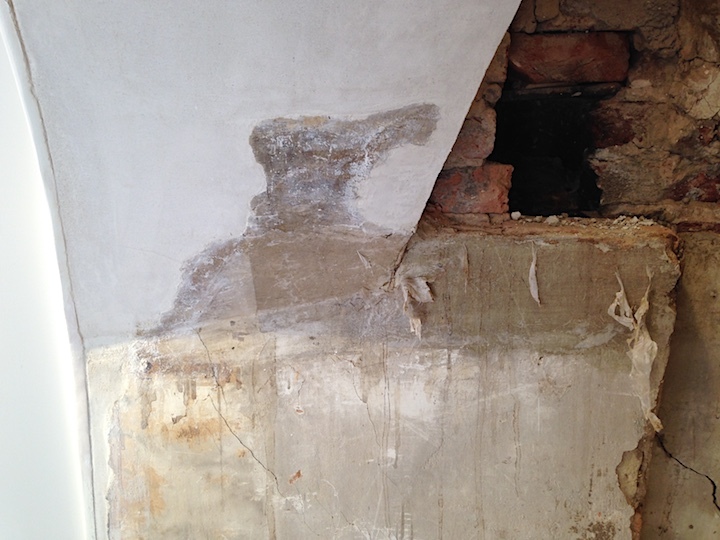 Afterwards the facings were removed and plaster was injected with high-viscosity adhesive to bond it to the historic brick. 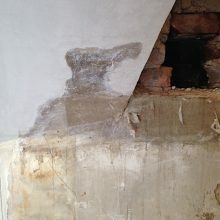 Documentation, including photographs, was provided to the customer as well as monitoring recommendations.